A video is at the bottom of the page for a visual walk-through if needed. Vacuuming down a mini split system is necessary before releasing the refrigerant. It also is the main way a unit is tested for leaks. The process is not difficult and easy enough for a DIYer with the right tools. HVAC gauges and a vacuum pump are needed to set a mini split into a vacuum. 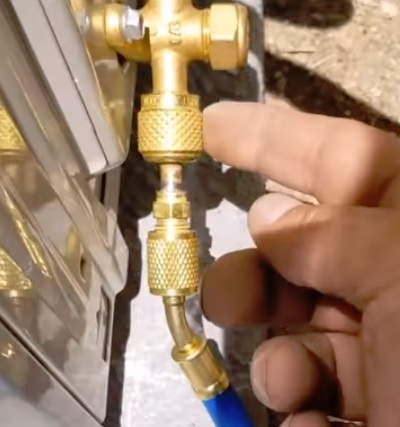 Alternatively a micron gauge can be used in place of HVAC gauges and do the same thing. A vacuum pump simply evacuates all the air from the system placing it in a vacuum. The gauges will show the pressure which will go negative as the air is pumped out. There are many low-cost units that work well enough for anyone who only uses them occasionally. Most mini split units will also need an adapter to connect to the low pressure port. 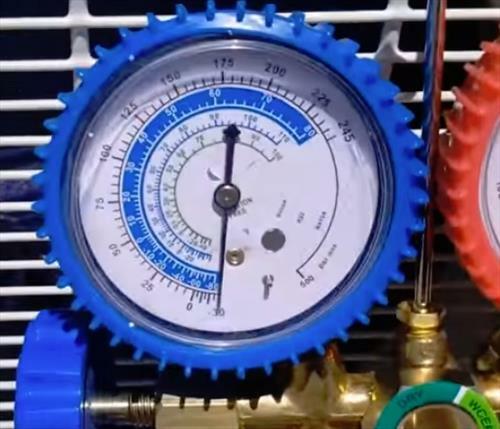 Hook the HVAC Gauges Blue hose to Low Pressure Port on outside condensing unit. 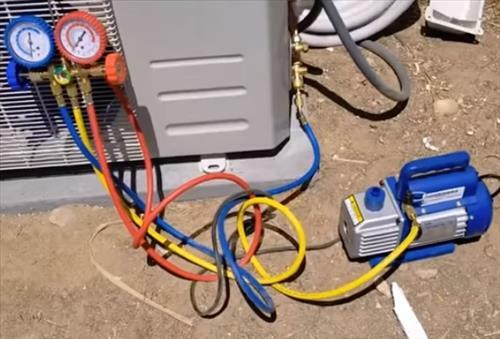 Hook Center Yellow Hose to the Vacuum Pump. 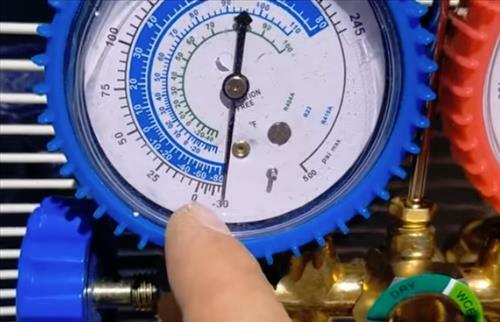 Turn On the vacuum Pump and open the valve on the HVAC Gauges Low Pressure Side (Blue). Let the pump run until it goes into a Vacuum, negative pressure. Let the pump run for at least 15-20 minutes and turn the pump off. Let the unit sit for some time 30 minutes or more and be sure the vacuum holds. If it holds the vacuum there there are no leaks and refrigerant can be released into the system. 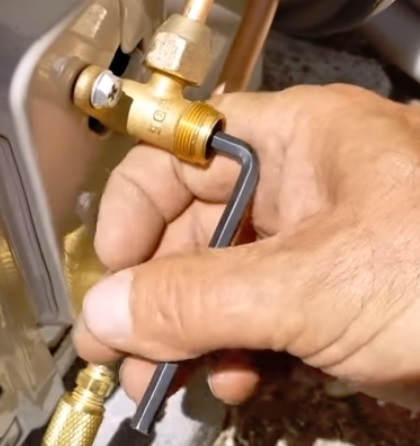 Using an Allen Key let the refrigerant into the system. 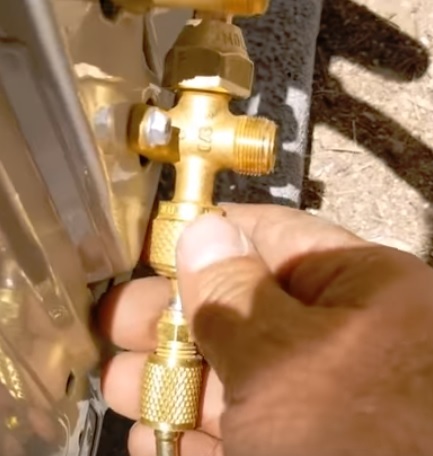 Open both the high and low pressure valves on the outside condenser. Remove the Low Pressure Blue Hose from the unit as quickly as possible. A small amount of refrigerant will come out which will be minimal. This is necessary as to not break the vacuum. Vacuuming down a mini split and releasing the refrigerant is not difficult and falls into the DIY category. Of course if in-doubt be sure to call a professional. There are some mini split systems that come set in a vacuum and do not require using gauges such as Mr Cool Mini Split Kit. Most units will require the system be pumped down into a vacuum. 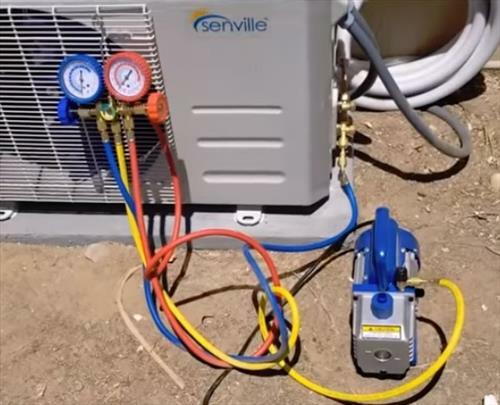 Here is a video I made installing a Senville mini split unit. The vacuum process starts at roughly minute 10:50 in the video.